Trees are an important part of our world. They take carbon dioxide animals and humans breathe out (after taking in oxygen), and convert it back to oxygen. Trees provide shelter for different types of animals and insects. Trees are also used by humans to create homes, and planted in yards to provide shade. Many types of fruits and nuts come from trees. These include apples, oranges, walnuts, pears and peaches. The two main types of trees are deciduous and evergreen. Deciduous trees lose all of their leaves during certain seasons. Evergreen trees don't lose all of their leaves during any season. The main parts of a tree are root, crown, leaves, branches, and trunk. The trunk is important because it delivers water and "tree food" from the soil and sugar from the leaves. Many types of ____________ come from trees. What are the two types of trees? 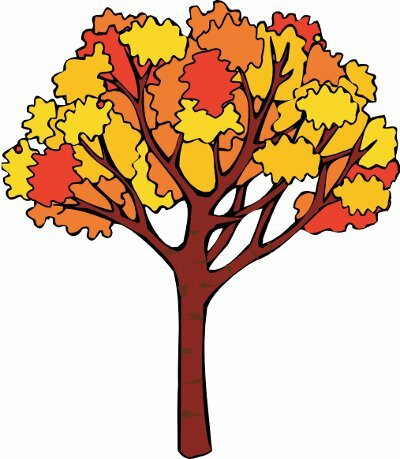 Which type of tree loses all its leaves during a season? What are the main parts of a tree? Why is a trunk important? Delivers water and "tree food"